I’m happy to share two new reviews, one of which I’ve written of Jane Silcott’s debut essay collection, Everything Rustles, published by Anvil Press. The other is a review by Brian Fanelli in [PANK]—of my latest book, Square Feet. The Review Review covers hot-off-the-press lit mag releases and more, so it’s not only a great resource for seeing what’s new for readers in the world of lit journals, it’s also a great way to discover potential markets for one’s own work. Since the conference is next week (!!! ), I figured it was time to share an excerpt from my original rave—and possibly sway some newcomers to join the fun in Seattle. Some of the data (like attendee numbers) has increased in number, but you’ll get the idea. What you really need to know is that the Conference draws in more than 8,000 attendees and more than 500 publishers—publishers that want to meet you. The Bookfair, which runs concurrently with the Conference, is the primary networking hub where writers are invited to interact and have informal conversations with editors, publishers, and writing program representatives. 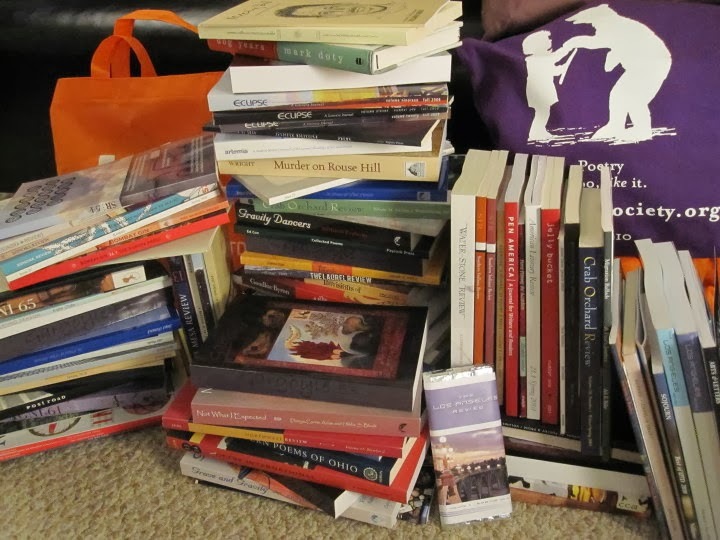 In addition to the writing programs, the Bookfair is also a great way to introduce yourself to hundreds of literary magazines, publishers big and small, and other writing-related organizations and service providers. As you walk through aisle after aisle, in a maze of booths and tables, your back will start to hurt for all of the swag you have stashed away in your AWP-provided shoulder bag. But it’s so worth it. Through your Bookfair journey, you will find incredible discounts on books and pick up complimentary back issues of lit journals, writing magazines, and other promotional items, not to mention so many business cards and contact names you will need to take a break to organize and recoup—but just for a bit, because there is so much more waiting for your discovery. The events last a few short days, but provide a year’s worth of motivation and inspiration. Through personal conversations with editors, publishers, and program reps, you will be on fire with the desire—the need—to get back home and write until your pen is dry. But don’t dare leave the conference until you have soaked up every last piece of information, and met every last editor and director. You will walk—or crawl—away from the conference feeling exhausted, but more creatively refreshed than when you were on Day One. That’s not only because of the official Conference offerings, but also because of the fantastic discussions about writing you had with writing friends old and new. All of those ‘friends’ you have online? They’ll see you at the conference. All of the editors you work with via email and over the phone? You’ll catch up over a lunch. If you can only attend one such event in your lifetime, go to the AWP Conference & Bookfair. It will provide you with enough oomph to last well beyond the few days when writers from various geographic regions invade a (slightly unsuspecting) city to create the literary nucleus of North America for one short week. You needn’t be a member to attend the conference, but there are registration fees and travel costs to consider. However, the Bookfair is often open to the general public at no cost on the closing Saturday. Thus, if you are working with a strict budget, you can still absorb and benefit from the aforementioned perks. This really is an event that needs to be experienced at least once in your life as a writer. Or—if you’re attending AWP—visit the Bloomsbury booth (2101) in the bookfair where copies will be on hand! Poets’ Quarterly regularly opens its doors to grad students interested in joining the PQ team. The internship supervisor is PQ publisher Lori A. May. PQ internships are virtual! 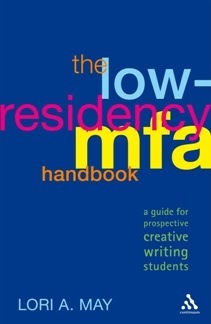 Students from anywhere, with an interest in poetry and/or publishing, are encouraged to apply. Interested students should send a brief introductory letter with name, college, and experience (if applicable), as well as the contact name for for-credit internships (if applicable). Also state the term or specific months available. Send your letter of interest to Lori A. May at lori@loriamay.com AND info@poetsquarterly.com. Joe Ponepinto is a former book reviews editor for Los Angeles Review and the author of a short story collection, The Face Maker and other stories of obsession. He is a graduate of the MFA program at the Northwest Institute of Literary Arts and his work has been published in dozens of literary journals. Kelly Davio, also a graduate of the NILA writing program, is former Managing Editor for The Los Angeles Review and current Associate Poetry Editor for Fifth Wednesday Journal. She is also a book reviewer for Women’s Review of Books. Her debut collection, Burn This House, is available from Red Hen Press. The TLR website will launch later this month and submissions will open on March 1, 2014. 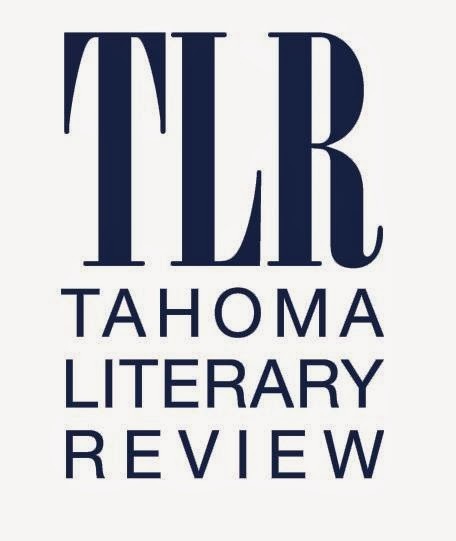 Like Tahoma Literary Review on Facebook for continued updates. Kim Loomis-Bennett has just launched Collage: Book Reviews, a new online resource that aims to cover an eclectic mix of new books. Kim’s poems and book reviews have previously appeared in The November 3rd Club, The Copperfield Review, Poet’s Quarterly, and Hippocampus Magazine. She has an MFA in Creative Writing from Wilkes University. I’m thrilled for Kim and am delighted that her first poetry review for Collage is my new book, Square Feet. Read Kim’s review here. While I’m at it, I also want to give a shout-out to both Laurie Lowenstein and Barbara J Taylor. 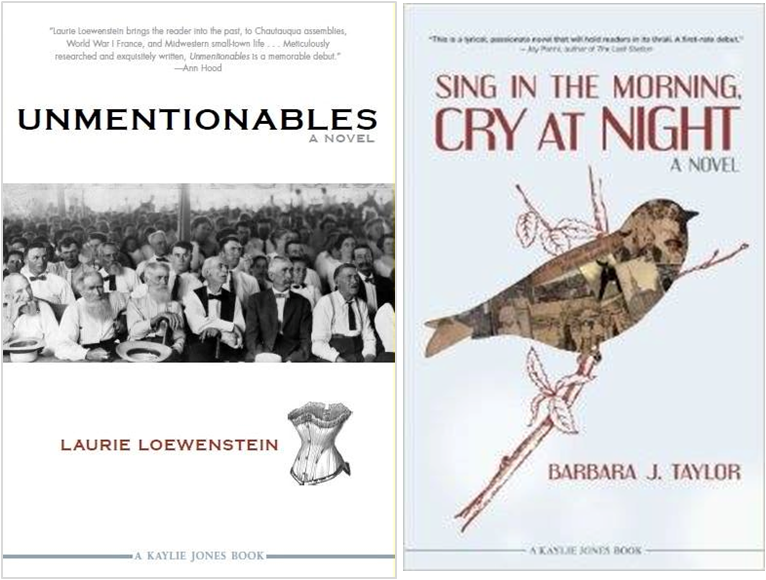 Laurie’s book, Unmentionables, is the debut release from Kaylie Jones Books, and Barb’s book, Sing in the Morning, Cry at Night, will be released as the second KJB title very soon. Kaylie Jones Books is a new imprint of Akashic Books, based in Brooklyn, and I have to give a slight disclaimer for my shout-out; I’m a nonfiction editor with KJB, so of course my pride in these releases is a bit biased, but who cares. I’m proud of these two amazing debut authors—and so proud of Kaylie Jones for embarking on this incredible journey of discovering new voices. Unmentionables, by Laurie Lowenstein, is available here. Sing in the Morning, Cry at Night, by Barbara J Taylor, will soon be available here. Like Kaylie Jones Books on Facebook for updates and news.